Here’s the YouTube of my briefing on Capitol Hill last Friday about the war in Gaza and its significance for regional events and Israeli strategic thinking. The Q&A is included and starts about 37 minutes in. 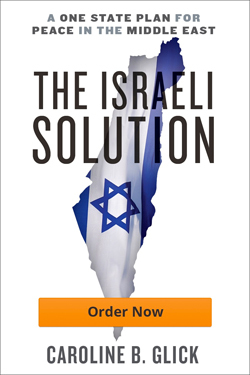 In March, I spoke about my book, The Israeli Solution, at an event co-sponsored by the Zionist Organization of American and the David Horowitz Freedom Center. On July 22, I was on the Steve Malzberg show discussing the new Palestinian war against Israel and Secretary of State John Kerry’s contempt for Israel. Click on the picture below to go to the interview.